As I’m sure you are all aware, October is almost over. As tragic as this is, it means that it’s time for another First Friday Art on the Town! This coming Friday there are several very exciting events going on at the DCCA. 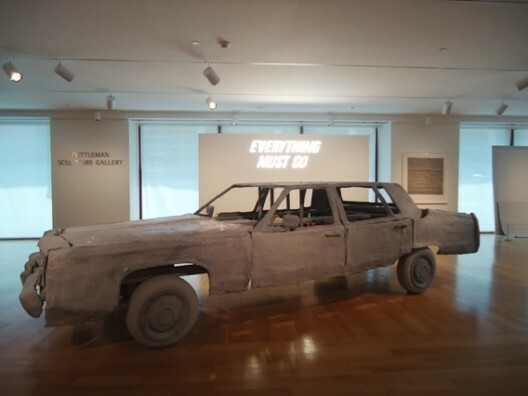 Boshko Boskovic’s new show Not So Distant Memory is opening at the DCCA and Boskovic will be giving a gallery talk at 6:30 p.m.
Now if that wasn’t exciting enough, three of the MFA Biennial artists will also be at the DCCA! Emily Erb, Elizabeth Hamilton, and Erica Prince will be giving a gallery talk after Boskovic. Also, a little insiders’ information, one of the MFA artists (I won’t tell you which) will have a piece of her work available for purchase. So make sure you come down to the DCCA this Friday and check out the show! Also, keep those votes coming! Currently, Steven Riddle is in the lead with 54% of the votes, followed by Guy Loraine with 13%! Note: the system will only let you vote once! Click here to vote!